Background : Son of Duncan Stephen and Elizabeth Margaret Parker; of Camperdown, Victoria, Australia. Husband of Mary Parker, of Camperdown. Brother of Bill, Bob, Maggie and Doris. Nephew of Sam and Will Parker. 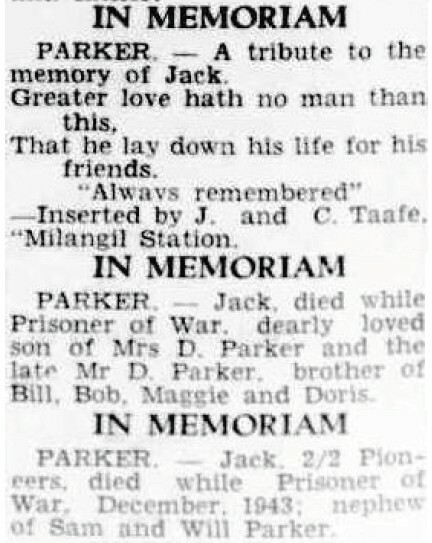 Mate of VX55492 Jack Nicholls (2/2 Pioneer).